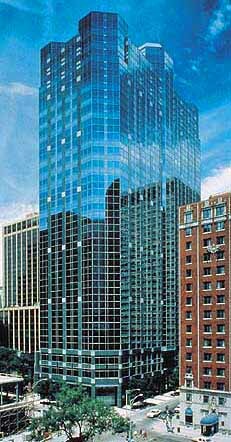 The Wyndham Chicago is located on the Magnificent Mile, one block east of Michigan Avenue. The symphony, museums, galleries, world-class restaurants, shopping, Lake Michigan and the Loop financial district are all right there. The hotel is located just twenty miles from O'Hare International Airport, twelve miles from Midway Airport, immediate access to I-90/94 Expressway from Ontario Street and four miles from the McCormick Place Expo Center. boxes and same day laundry/valet services are available. There are two club-level floors with a private lounge. The Caliterra Bar and Grille features Californian and Italian cuisine. Breakfast, lunch and dinner is served, plus 24-hour room service dining in the privacy of your room or suite. The state-of-the-art equipped fitness center is enhanced with the in-door pool, whirlpool, steam-room, sauna and therapy massage services are available. More than 17,000 square feet of flexible meeting space has been reserved for meetings, conferences and banquets. 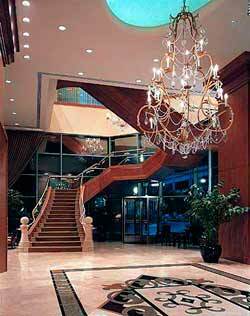 The Grand Ballroom has 4,420 square foot and the Lakeshore Ballroom measures some 4,800 square foot. There are 12 meeting rooms with banquet seating for up to 391, theater seating for up to 533 and receptions to accommodate 505 participations. The executive concierge business center has computer work stations, a laser printer, fax and photocopy machines and offers mail and package services and state-of-the-art audiovisual equipment. A wedding coordinator's services and a personal meeting manager are on the premises.